Advameg, Inc. is a fast-growing Illinois-based company founded in 2000 by the company's current president and CEO Lech Mazur. With a portfolio of over 50 sites, our network sees more than 20 million unique visitors per month. Our sites are frequently referenced by media outlets including CNBC, CNN, The New York Times, Fox News, The Atlantic and The New Yorker. By analyzing information from a variety of reputable sources, we are able to provide our users with accurate, high-quality and easily-understandable information. Visitors are able to freely access our materials and find information on a wide range of topics including science, history, health, business and much more. Quantcast.com ranks our largest site, City-Data.com, in the top 150 sites in the United States (December 2016). 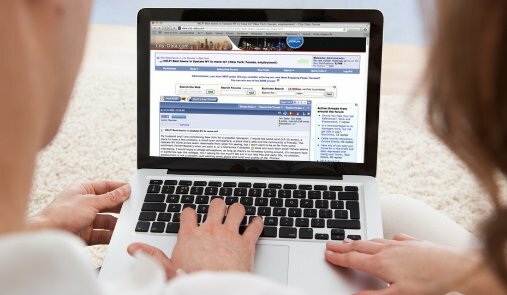 The forum on City-Data.com has over 2 million registered users. 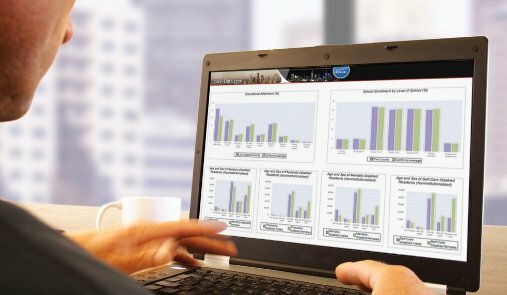 Seeing over 18,000,000 unique monthly visitors, City-Data is rated among the top 100 U.S. sites by Quantcast. The forum section of the site allows users to engage in discussions about specific locations, as well as a wide variety of general topics. Countries and Their Cultures includes detailed profiles of nations around the world and explains the cultural norms and influences present there. 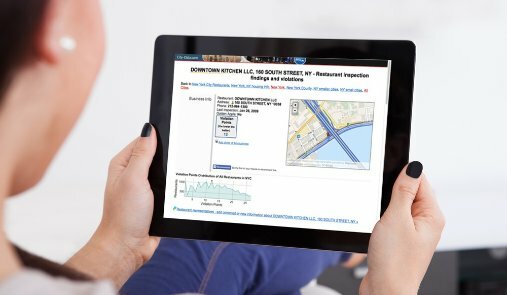 Users of Patent Docs are able to keep up with the latest innovations by easily locating information on patent applications that have been filed, as well supplemental documents. Users of People Search upload images and information about their relatives and ancestors, and are able to connect with distant relatives and people who share their interests. 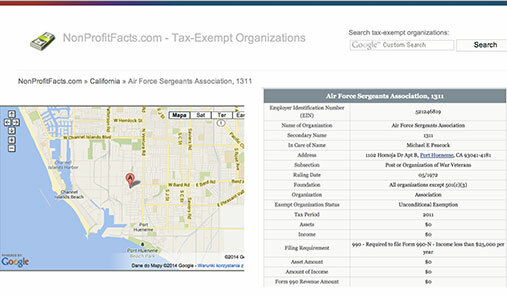 Whether a user is looking for the address of a local nonprofit or wondering what the total assets are of a larger organization, they can find it in the detailed profiles featured on Nonprofit Facts. Users of Encyclopedia of World Biography are able to quickly locate detailed biographies of notable individuals from nearly every country around the world. Share Ranks seeks to create the internet’s definitive top lists of nearly any category. 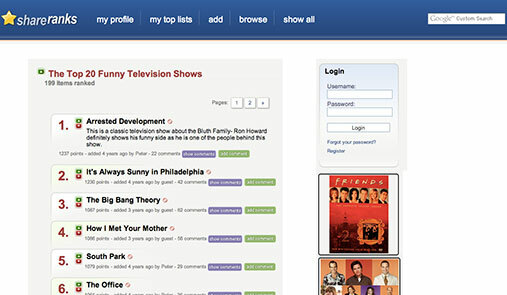 Users can create new lists and vote for their favorites. Encyclopedia of Surgery articles written about surgical procedures, tools, medicines and other topics in the surgical field written in easy-to-understand terms by experts in the field. Encyclopedia of the Nations features detailed profiles of nearly 200 countries, as well as detailed information about their geography. Business owners and entrepreneurs can find detailed entries on all aspects of business, including biographies of industry leaders and actual business plans, at Reference for Business. Featuring comprehensive, easy-to-understand articles, Encyclopedia of Mental Disorders is the go-to destination for information on mental disorders, treatment and medicine. Visitors to How Products are Made are able to learn about the manufacturing and assembly process of a wide variety of products, from everyday household items to complex industrial machinery. The Garden Helper provides gardeners with the information they need to grow the best plants possible. It contains helpful articles, maps and data tables. 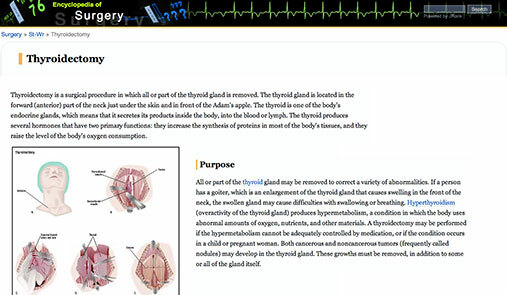 Users of Medical & Health Encyclopedia can easily find medical and health information on a wide variety of topics, including beginning a family, the human body, diseases and weight control. Health Encyclopedia provides users information about a variety of health and medical topics, as well as biographies of notable individuals in the medical field. Any outdoors enthusiast can gather the knowledge they need from Love the Outdoors - it includes informative articles and guides about a wide variety of outdoor activities. Users of Bank Encyclopedia can easily locate detailed information about active banks in their area, as well as those around the country. Human Illness provides users with detailed entries on human diseases, conditions and treatments. Users can add information and ask questions through comments. Users of Music Banter Forum enjoy discussing all aspects of music, including specific genre discussions, instrument discussions and album reviews. Whether a user wants to better understand the Yugoslavian influence on film or read a biography of Kevin Spacey, they can find it here. Science Clarified provides easy-to-understand explanations of scientific topics. Users can add their own input to different entries via comments. Users of Encyclopedia of Children’s Health can find detailed, easy-to-understand information about medical conditions, disorders and diseases that affect children. Visitors to Chemistry Explained can easily expand their knowledge of the chemistry field with a wide variety of chemistry-related entries. By allowing users to upload their own images, we seek to create a visual dictionary of the English language through photographs. 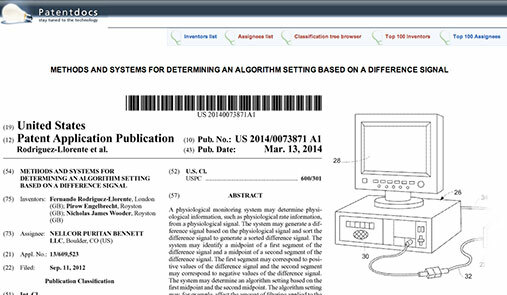 Similar to Science Clarified, Biology Reference contains entries specific to the field of biology. Food in Every Country provides detailed information on the culinary traditions of a wide range of countries, as well as recipes that users can easily make at home. Encyclopedia of Myths is the go-to website to learn about any mythology, from ancient times to recent. Users are able to add input and discuss topics in the comments section on each entry. How do amino acids work? What are functional foods? Users can find the answers at Nutrition and Well-Being A to Z. From the dynamics of a basketball shot to an explanation of how muscle protein synthesis works, World of Sports Science has the answers. Users of Water Encyclopedia can find information and graphics on nearly any water-related topic, from general topics to specific scientific explanations. Users of Unit Conversion can easily and quickly calculate conversions between two units. Unit Conversion also features an easy-to-use mobile version. Read Abstracts contains abstracts of articles sorted by topic, and allows users to locate publications that may be of interest to them. Fashion Encyclopedia provides users with detailed information on fashion trends and designers from the 15th century all the way to recent years. Encyclopedia of Death and Dying examines various topics related to death and dying from historical, social and scientific perspectives. Whether the user is a student working on a history report or a person just scratching their curiosity, Profiles of U.S. Presidents provides the information they need. Visitors to Espionage Information can locate articles about a wide variety of topics related to espionage, intelligence and security throughout history. This site allows visitors to better understand the history of the United States’ relations with foreign nations, as well as concepts related to foreign relations. Ghosts, mystics, magic and aliens can all be found at Encyclopedia of the Unusual and Unexplained. Users can read these articles and discuss them in comment sections. Even people who are unfamiliar with medical language can learn about discoveries that changed the medical field forever at Medical Discoveries. Pollution issues allows users to find detailed, easy-to-understand information about issues concerning the environment that are important to them. Whatever information a user is looking for about a website, it can be found at Website Encyclopedia. Here they can find descriptions of sites, estimates of traffic, and information about the owner. 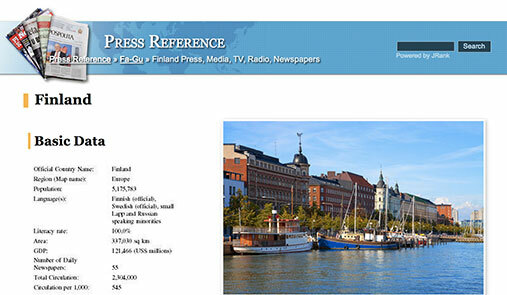 Users of Press Reference are able to quickly search through a variety of detailed entries to find specific information on the media in countries around the world. 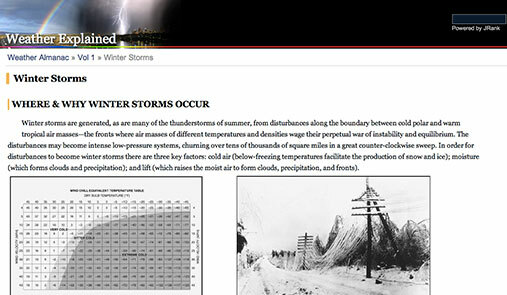 Weather Explained provides descriptions of climates from around the United States, as well as historical data for various cities. Users of Trademark Encyclopedia can find history of a trademark including filing date, location, owner and prosecution history. Ologies and Isms is dedicated to providing definitions of words and sayings, as well as words and sayings with similar meanings. Users of Allusions: A Thematic Dictionary are able to look browse or search for a topic and find stories throughout history that allude to that topic. Encyclopedia of Children and Childhood in History and Society allows users to locate detailed articles about the role of children in various topics. World Directory of Minorities provides detailed profiles of minority cultures from around the world, including history, general characteristics and statistics about the culture. Similar to Unit Conversion, Currency Conversion is specifically for calculating conversions between different international currencies. Our Dictionary of Collective Nouns and Group Terms provides users with definitions of group terms that they cannot find in a regular dictionary. New Searching allows users to search forums, car reviews and encyclopedia entries. Time and Date Calculators provides users with a variety of time-related tools, including days between, time difference, moon phases and a sunrise calculator. 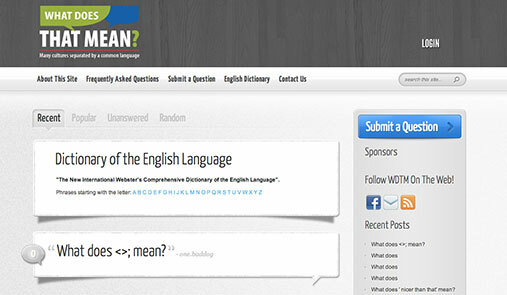 What Does That Mean seeks to create a user-build dictionary of English sayings and buzzwords. It also includes a full English dictionary. Part of Love the Outdoors, Fly Fishing: The Lifetime Sport provides users of all skill levels the information they need to enjoy fly fishing. Like the name says, Simply Dictionary is an easy-to-use online dictionary. Information and stats about adverse effects of prescription and non-prescription drugs and their combinations.